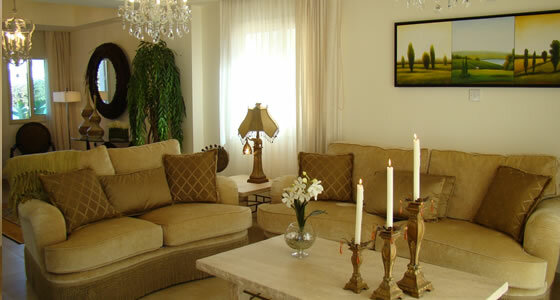 On entering Luxury Amadora Villa Lily in Protaras, Cyprus is a truly impressive chic villa with its comfortable rich velour lounge suite, fantastic crystal chandeliers and a wonderufl stone mix dining table with brown leather chairs. 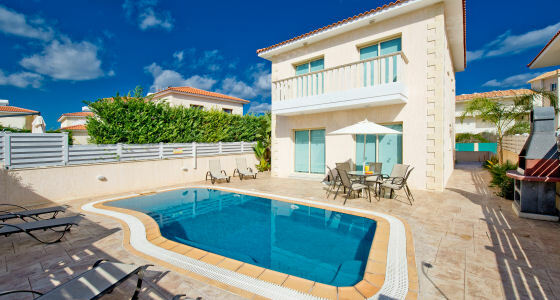 The substantial outdoor space is equally impressive with relaxing loungers, stone Cypriot barbecue and not to mention the overlow private swimming pool. 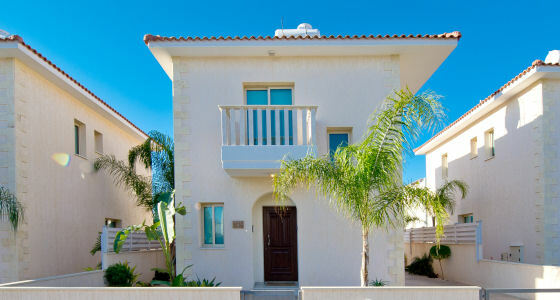 Luxury Amadora Villa Lily also offers a beautiful view of the Prophet Elias Church in Protaras Cyprus. 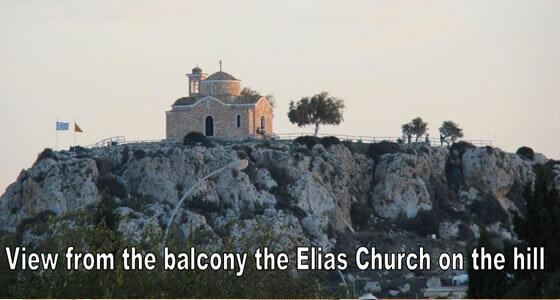 Based at the top of a 100 meter high hill, this little church is popular not only for the spectacular views across Protaras and the surrounding areas, but it is also popular with couples who get married in Cyprus, and visit the church to take wedding photos. 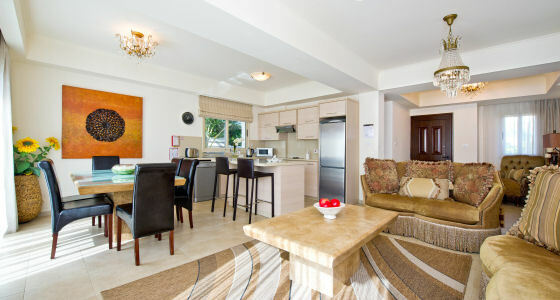 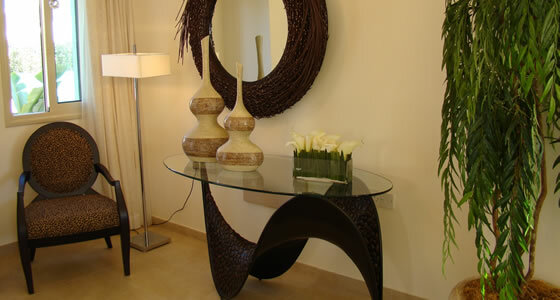 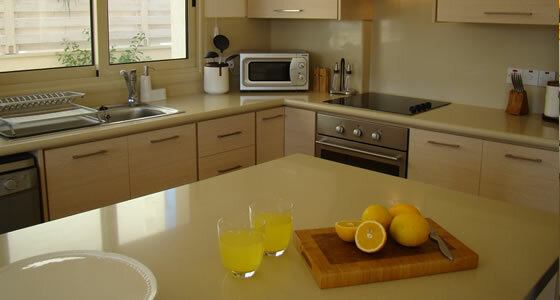 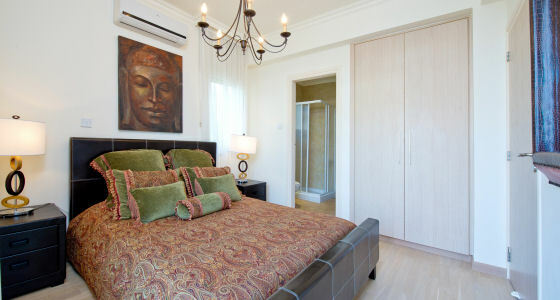 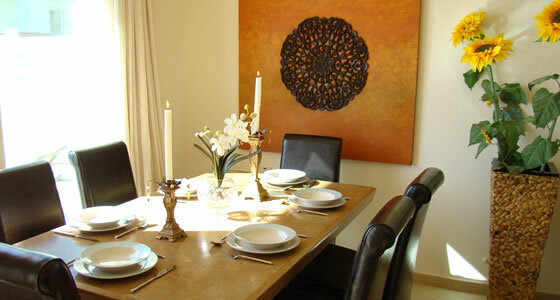 All of our 3 bedroom villas in Cyprus are ideal for honeymooners and wedding guests.